Thanks to I am a Reader, Not a Writer and Laurie Here for hosting this hop. I appreciate all of the work that they have done to put this together for us. 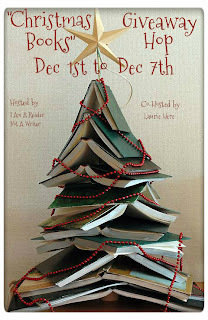 Today I will be giving a book away that was recently reviewed on this blog. My daughter reviewed it and loved it. She said it was wonderful and would have given it 6 stars if possible. In a world where elves are only slaves, one boy is determined to make things right. 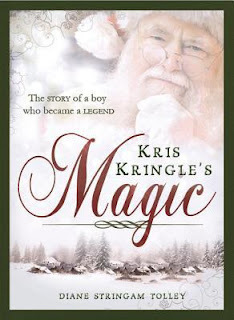 With the elves' help, Kris decides to begin with the children. But can a pile of gifts on Christmas Eve really change anything? This enchanting story is sure to captivate kids of all ages. An instant holiday classic you'll want to read again and again. Book Description from Amazon: It starts in the desert. John the prophet lowers Jesus under the Jordan’s muddy waters and pulls him up, just as a bird swoops down to skim the river’s surface. It spreads next to Galilee, where some welcome Jesus as a disciple of John and others grow wary of his rising influence—fishermen are leaving their nets, tax collectors their offices, and students their masters to listen to this new saint. After abandoning his nets, Andrew ties knots in the threads of his shirt to remember Jesus’ teachings. After escaping his slum, Judas waits for Jesus to call down the legions of angels who can end a broken world. But just as Jesus’ movement in the north is gaining strength, he turns south toward the Temple and a fate his followers will struggle to understand. 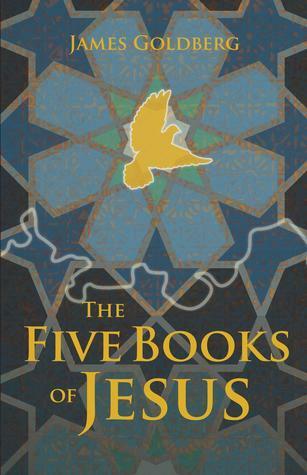 The Five Books of Jesus, James Goldberg’s lyrical novelization of Jesus’ ministry, tells the story of the gospels as Jesus' followers might have experienced it: without knowing what would happen next or how to make sense of events as they unfold. 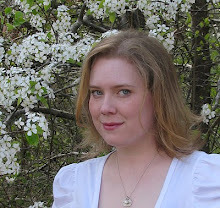 Lee Ann's Thoughts: Lisa may or may not get any special benefit from living next-door to an author (me J), but I love living next-door to Lisa, for a variety of reasons, including her gracious offer to let me review books on her blog whenever I want. I am excited to share this wonderful book with you! The book’s prose has a lyrical tone, informed by Indian poetry. The author deftly weaves in Old Testament prophecies to point up the depth and meaning of Jesus’ teachings and stories. It’s an excellent read on either of those levels, but for me, its real genius was the way the stories grabbed me and made me feel like I was there in the hot, dirty press of the crowd; or walking all night, listening to Jesus tell homely stories infused with layers of meaning; or inside the head of a new, confused, sometimes terrified disciple. The point of view flits from character to character, lingering lovingly on the women’s experiences. The only head we don’t enter is Jesus’ own: like the people in the Bible, we are left with the example, the lessons, and the tremendous sacrifice, to draw our own conclusions. Where the Bible doesn’t give details, Goldberg occasionally freewheels his own, generally giving a more generous interpretation than I’d thought of before. We’re clearly not meant to take his re-telling as “gospel.” Rather, the book invites the reader to consider that all the old stories happened to real people, in real situations—just like the rest of us. The betrayer Judas receives an especially careful characterization. I’d never stopped to think of him as a friend not just to Jesus, but to the other apostles, who must have worked as hard, and felt as deeply as the others. Or that somehow his betrayal might have made a terrible sort of sense to him. Again, Goldberg’s interpretation may or may not be the true one—but it reminded me that, whatever his story, Judas was a real person, with a story and a past and a set of compelling motivations. Just like the rest of us. It’s beyond tempting to quote the entirety of the passage about Jairus’ daughter. And the one about Mary and Martha. And Peter walking on the sea. But it's just time for everyone to go read this book! (Makes a great Christmas gift). 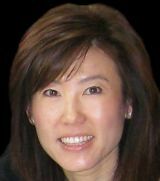 If you are interested in Lee Ann's books ~ Here's her goodreads Link. 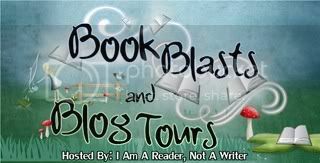 It is exciting to take part in this blog tour. Readers have the opportunity to follow the tour and read the excerpts in order for a read along. You will find the excerpt assigned to this blog below. A linky for the tour will be near the bottom of the post. That way you can read all of the excerpts! Book Description: Somewhere between falling and flying… there is a girl. My Thoughts: Owlet had a dreamlike quality to it that kept me enchanted. Iris is a young woman who doesn't get out much. She has asthma and because of her disease has many physical limitations. She is home schooled and has a companion. Her mother is deceased and she has no memory of her or of her childhood. She lives a very sheltered life. She has vivid dreams. That may be why I feel there is a dreamlike quality to the book. She dreams of feathers and a place that in her heart is her home. She dreams of someone just out of reach who she wants to be with again. She is given the opportunity to travel. She embarks upon a journey with her companion, who is more like an aunt. They travel to the island of her dreams. She thinks of it as her Never, Never. It is just as she imagined in her dreams. But she soon learns that the dreams are more than dreams. She has been here before, she just can't remember. 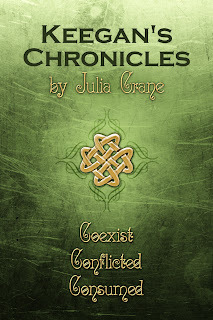 She learns that there are secrets from her past and her heritage that are dangerous. She has been hidden to keep her safe. There is so many questions and so much to take in. This book resonated on a level with me, mainly because my daughter has asthma. 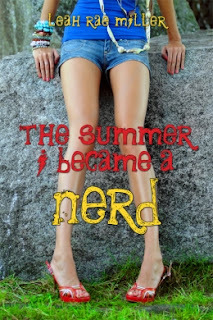 I loved having a main character that she could relate to. Iris condition is many times more severe than my daughter's. Iris doesn't give up but adapts. I love seeing this strength. There is romance for Iris. While it seems sudden, it becomes clear that there was a previous relationship that has been lost with her memories. Little snippets are revealed and I look forward to learning more in the rest of the series. Falcon finally managed to find old jeans and a sweater and was relieved when they fit him. The last time he had seen Roger was years ago and he couldn’t remember if he would have been the same height Falcon was now. Heading to the bathroom, Falcon started filling the tub with warm water. 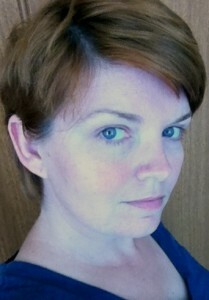 About Emma: Emma Michaels is the author of the ‘A Sense of Truth’ and ‘Society of Feathers’ series. 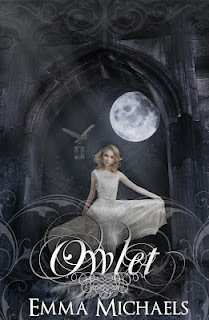 Her goal with her latest YA novel 'Owlet' is to give others what she did not have growing up; a strong female protagonist with asthma. While her previous aspiration was to be a lady knight she realized that not being able to run more than a few feet might become a hindrance so turned to writing instead. Her day jobs include being a cover artist, marketing consultant and silk screen designer. I grew up in a military family, moving around a lot. My older brother, following in a few of my father’s footsteps, also signed up for the Navy. He happened to get stationed near Charleston, SC where my family lived when I was kindergarten age. For fun one day, my brother took his little family for a drive to our old stomping grounds- taking pictures of his school and other places he remembered. Among those places, of course, was our old house. “What ya doin?” A young man came out of the house next door to our old place to chat. It was a lighthearted conversation at first, talking about who still lived there and those who had moved away. Then, suddenly it dawned on my brother who this young man was. In our family adoption is a fun word. It’s a word accompanied by joy and love. So when my brother brought up this young man’s adoption, he was bringing up a topic of celebration. A little troubled by the thought that he may have been the one to accidentally bring this young man’s history to light, my brother called my parents later that day to ask and their answer was yes- that was unmistakably the same little boy my brother remembered being adopted. That adoption took place about 1980 and even though 30 years isn’t very long ago for many aspect of society, with regards to adoption it might as well be a thousand years ago. The days of avoiding the word “adoption” in conversation are gone, and so are the times when parents would pretend to the world that their adopted child was born with their own DNA. The process of shifting from these “closed” adoptions, where biological parents no longer have any contact with the child they placed for adoption, was a slow process at first. Right about the turn of the century, though, that shift jumped into hyper speed and now 95% of adoptions are open. Most of those open adoptions have continued contact directly between the adoptive family and the biological family. Still, even though the vast majority of adoptions are open, very few people know what adoptions are like now. And those people who do have some knowledge about open adoption still don’t know what it’s like to be involved in one unless they’ve been there. That’s why I wrote Open Adoption, Open Heart. My wife and I were among those people who didn’t understand open adoption before we went through the process. We didn’t really know why people did it. We didn’t know the benefits or the difficulties accompanying the process. 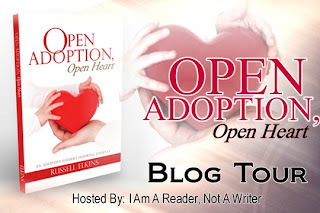 Open Adoption, Open Heart is not a “how to” book on adoption. It’s not meant just for those considering adoption. It’s our story in all its detail- the good and the uncomfortable as we built relationships with the biological parents. Open adoption is not something that just happens, where you fill out papers and wait for the agency to show up at your doorstep with a baby. Nope nope nope. It’s a process. It’s a journey, and this book takes you on that journey along with us. It’s written in a way that the reader is able to go through the entire process with us, from our troubles with infertility up through a year after the adoption takes place. This book doesn’t stop when the baby comes into our home because the placement of the child is the middle of the story, not the end. Relationships with biological parents are not automatic because it’s not really instilled into us as human beings to want to “share” the concept of parenthood. It took time and effort on everybody’s part to figure out where we all fit into the adoption puzzle. Open adoption is not for everyone. We realize that. Still, next to the day when my wife and I were married, the process of adoption is the best thing to ever happen to me. We are raising our two adopted children in a way that we celebrate their history- we don’t hide it. If someone shows up 20 years from now and talks to my children about adoption, it’s not going to be a revelation or a shock to them. Our goal with having everything so open is to help our children see how wonderful a blessing they are in this world. They will see firsthand the incredible love we have for their biological parents and they will know them personally. We feel strongly that they will be more likely to love and embrace their biological roots when they see how we do too, avoiding the thought that they were once “abandoned.” Our children were not abandoned. They were placed for adoption out of love by people who realized they weren’t in position at the time to give them what they deserve in life. There are so many ups and downs, twists and turns in Open Adoption, Open Heart that you would think it was fiction, but it’s our true story. Anybody who reads it, whether interested in adopting or not, is going to enjoy the ride and will close the cover being more aware of what the adoption is like now. It wasn’t easy, and our story will never completely be finished, but what an amazing ride it is! What a wonderful place the adoptive world is! About Russell Elkins: Russell Elkins was born on Andrews Air Force Base near Washington, D.C., in the fall of 1977. Along with his five siblings, he and his military family moved around a lot, living in eight different houses by the time he left for college at age 17. Although his family movedaway from Fallon, Nevada, just a few months after he moved out, he still considers that little oasis in the desert to be his childhood hometown. He and his family now live in the Boise, Idaho area. 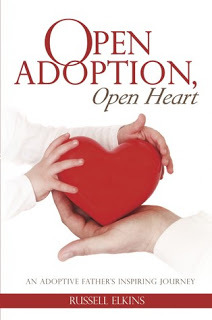 Book Description: The world of adoption has changed dramatically over the past twenty years. No longer do biological parents have to say goodbye to their child forever. They now have more options when deciding the type of adoption to pursue, such as open adoption. Open adoption creates the opportunity for a special relationship between biological parents, the adoptive parents, and the child. 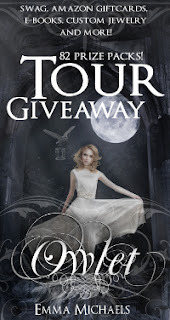 Giveaway: There is a giveaway with this blog tour. It's for a $25 Amazon Gift Card from the author. Use the rafflecopter form to enter. Contest is void where prohibited by law. You must be 18 or older to enter. Contest closes on December 23, 2012. Book Description: Bron Jones was abandoned as a newborn. 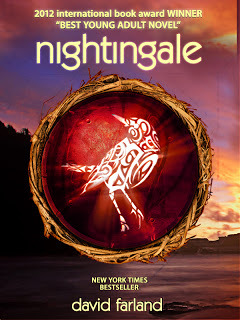 Thrown into foster care, he is rejected by one family after another, until he meets Olivia, a gifted and devoted high-school teacher who recognizes him for what he really is -- what her people call a "nightingale." Bron's secrets may be the most dangerous of all. My thoughts: This book is excellently written. David Farland's words flow well and I can picture the events in my head. I love it that happens. It makes for an enjoyable reading experience. 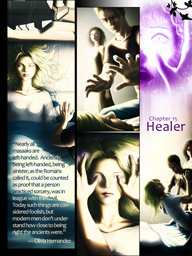 An example of the graphic art from the book. The main character is a sixteen year old boy. Bron has been in foster care since he was an infant. He is a budding artist, and as such, finds his way to a charter school for the artistically minded student. His new foster mother works at the school and from the moment she lays eyes on him realizes that he is different. He is a "nightingale". She is not human, and neither is Bron. Her kind often abandon babies to have them fit in with the human population. There is more to Bron than just that of a nightingale. Having him live with his new foster mother puts her and him in great danger. This book has action. I know that it will appeal to my boys. It has a great story line that will appeal to my daughter. 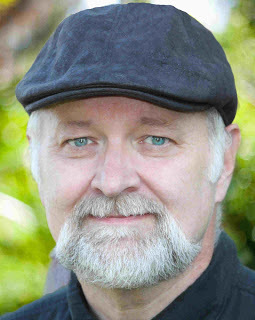 About David Farland: David Farland has written and edited fifty published books. 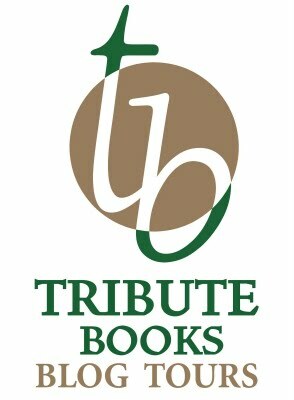 These include novels for adults, young adults, anthologies, middle-grade readers, and picture books. He often teaches writing workshops, and has trained a number of people who went on to become international bestselling authors—people like Brandon Sanderson in fantasy, Brandon Mull in middle-grade fiction, and Stephenie Meyer in young adult fiction. As part of his dedication to helping other writers, David writes the David Farland’s Daily Kick in the Pants, an email bulletin for writers or those who would be writers. Many authors rave about how it has helped them. Out of devotion, he provides the Daily Kick free. You can register to receive it at http://www.davidfarland.com/. David has seminars about writing/books. You can find out more by clicking on this link. There, Claudia meets Michael, a nephilim, a half angel, half human, whom she often meets in her dreams. 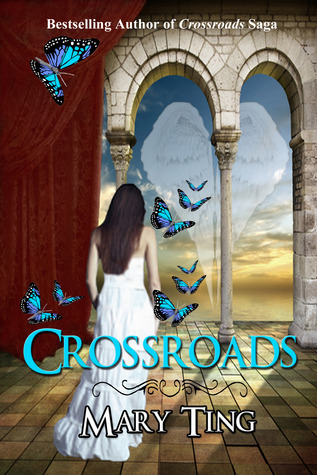 It turns out that this isn't her first visit to Crossroads, which is an enigma for no human can ever travel there until Claudia. Now the fallen and demons are after her, suspecting she must be special and it is up to Michael and the other nephilims to protect her. "Love is in question. Trust is debatable. No one is safe. 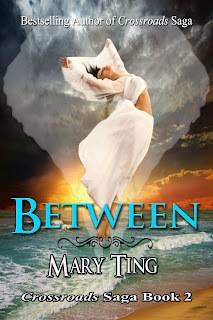 Between by Mary Ting is an enchanting, nail-biter that will leave you breathless from the exquisite cover to the thrilling end." As the alkins head back to Crossroads, Claudia leads her normal life; but not for long. Having a special soul, Claudia attracts danger, and she soon finds out who Gamma asked to watch over her. The Twelve, known as Divine Elders on Earth, are very much involved when they find out that Aliah, one of the God's first angels, escaped from the Abyss when the gates were opened by Aden. Needing Claudia's soul to escape the only place Aliah can reside-a place between Heaven and Earth-he sends his demons in search of all Claudia Emersons on Earth. Taking her soul will enable him to be released from Between and cross over to Crossroads, which would give him immense power. As more secrets are revealed Claudia learns about the venators--nephilim, demon hunters. Now two opposing forces must work together in order to save Claudia and humanity from the most dangerous angel ever created. But along the way, trust becomes a big issue. Will love be enough to keep Claudia and Michael together? Who will make the ultimate sacrifice? Who will betray them all? Torn between the past she can't remember and a future she isn’t ready for, Claudia feels at a loss. With unanswered questions, she is certain there is more to her past than just being a venator. Finding the missing pieces in her life won’t be easy because duty calls. When mysterious dark shadows get released, an apocalypse sets in motion. The venators and the alkins must work together once again. Knowing Claudia would be the key to destroying the demons that were released, a familiar stranger appears to protect her. 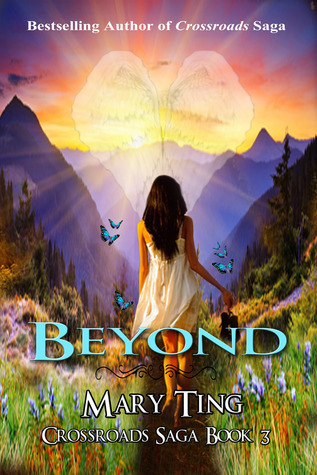 Drawn to the beautiful angel, Claudia finds she must unravel the mysteries of her past in order to help save the world. Who is the angel assisting her and why does she feel a strong connection to him? Time is running out. Will she discover all the secrets before it’s too late? Book Description: Missy didn’t mean to cut so deep. But after the party where she was humiliated in front of practically everyone in school, who could blame her for wanting some comfort? Sure, most people don’t find comfort in the touch of a razor blade, but Missy always was . . . different. That’s why she was chosen to become one of the Four Horsemen of the Apocalypse: War. Now Missy wields a new kind of blade—a big, brutal sword that can cut down anyone and anything in her path. But it’s with this weapon in her hand that Missy learns something that could help her triumph over her own pain: control. A unique approach to the topic of self-mutilation,Rage is the story of a young woman who discovers her own power and refuses to be defeated by the world. My thoughts: There were parts of this book that were hard to read. I have to admit to skipping over sections because they were overwhelmingly emotional and brutal. Missy is a teen who cuts herself to relieve her emotional turmoil. After a traumatic event she cuts too deep. Death offers her an opportunity to live by accepting the mantle by becoming the apocalyptic rider -war. I find it interesting that in this book as in the last he uses people who are struggling with demons and understand the emotions of their position. One word that pops out often in the dialogue between riders is balance. War is there to balance out the aggressive nature of humans so that it is controlled. I really like this concept. There are many valuable lessons learned in this book. This book is not for the weak stomached. Definitely for a more mature YA reader. There is also sexual situations in the book. Book description: Naomi knows she should be excited about her upcoming wedding but she remains unmoved. Not only are her feelings for her fiance lackluster but she believes he may see her more as a servant than a partner. And he's so controlling. Is it too late to back out of the marriage? While praying for God's guidance, Naomi takes a break from her duties as a quilter and travels with her grandmother to Pinecraft, Florida. Along the way Naomi finds herself becoming attracted to Nick, their "Englisch" driver and friend, and the two begin to fall in love. The journey soon becomes one in which Naomi explores her most secret dream for love. But can she veer off the "safe" path she'd envisioned for her life to marry Nick? 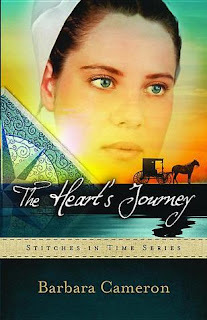 Bonnie's Thoughts: A beautifully written Amish romance. Young Naomi is engaged to John, who seems to have changed over the course of their engagement. In order to get away and think about her future and her relationship, she accompanies her grandmother on a trip to Florida. Throughout her journey, she becomes attracted to their driver, an English man. She is torn between her heart and tradition. 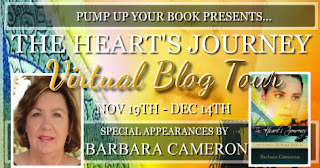 I have read a few other novels by Barbara Cameron and thoroughly enjoy her writing. Her writing and story lines are simple and so relatable, Amish or not. This story is filled with such a sweet love between two people from such different backgrounds. But there is a great respect for family and traditions on both sides. Naomi and Nick are a perfect match. To see the full tour schedule. 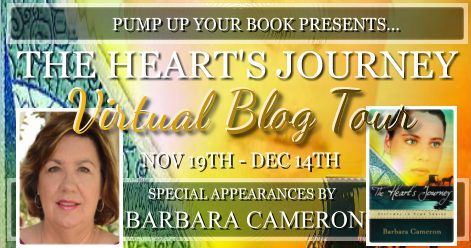 Visit Pump Up Your books tour page at this link. 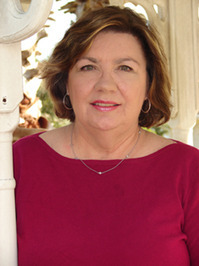 About Barbara Cameron : CBD, CBA, and ECPA bestselling author of 24 books (including new series upcoming for Abingdon Press in 2011/2012) including fiction and non-fiction books for Abingdon Press, Thomas Nelson, Harlequin, and other publishers. did was touch a doorknob. 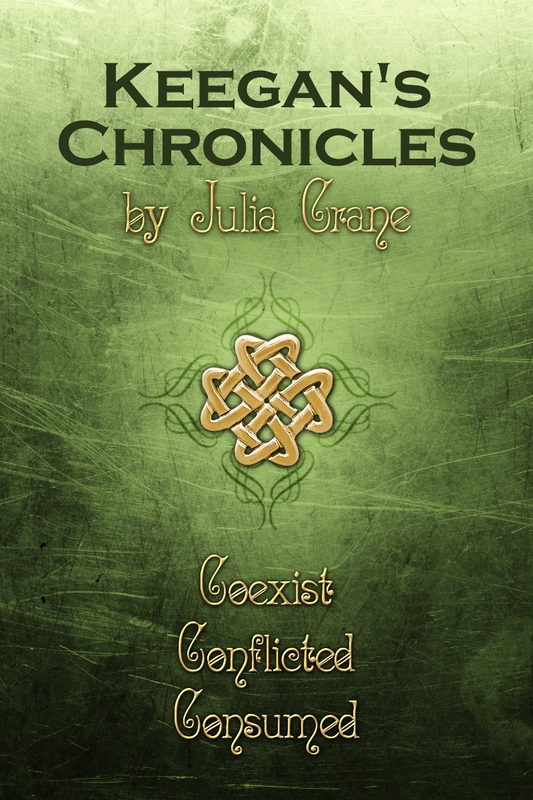 a world of ancient societies and secrets. find answers before she loses what’s left of her family. 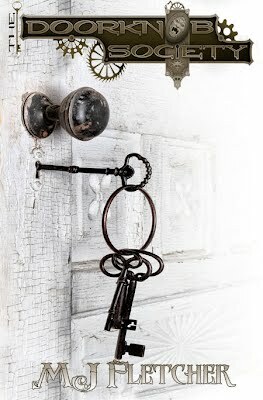 I grasped the knob and twisted it. The feeling that ran through me were amazing; the turn of the world beneath my feet, the dance of the planets through the universe and the taste eternity on my lips as it all opened up and poured through me. I pushed the doorway open and the glow of a portal bathed the kitchen in its welcoming light. “You did it.” Jess seemed impressed and surprised, her eyebrows arching. “Noooo!” Gran’s scream startled us both as she came hurtling into the room, crashed into the island and crumbled to the floor. Blood poured from a gash along her hairline. She tried hard to get to her feet but it was no use. She had spent all her energy and finally slumped in defeat to the floor.